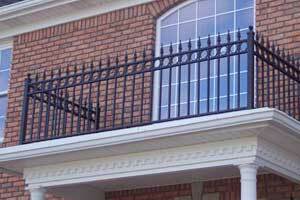 build and installation of our gate, railing or automation kit products. 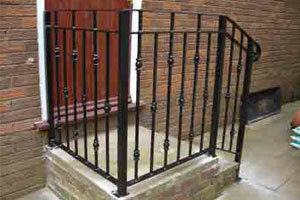 of the leading suppliers of wrought iron products in the North West. look great, and increase security for your family or business. 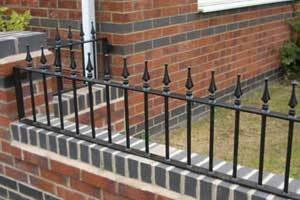 Cheshire Metalcraft : specialists in the design, manufacture, supply and fitting of wrought iron products to domestic and commercial clients. Cheshire Metalcraft specialise in the design, manufacture, supply and fitting of wrought iron gates in Manchester and the North West, for both commercial and domestic applications. All of our wrought iron gates in Manchester are handmade by experienced craftsmen and can be made to any specification. We have over 12 years’ experience in the industry and guarantee quality and a professional service from start to finish; from the initial consultation, to the manufacturing and right through to the installation. As part of our excellent service, we provide free estimates to anyone within a 50 mile radius of our depot in Cheshire, with a no obligation quote. This means if you’re looking for iron gates in Manchester or the surrounding areas, you can find out the cost of your requirements before you commit. As well as specialising in wrought iron gates in Manchester, we also produce, timber gates, railings, balconies, grilles, postboxes and automatic gates. 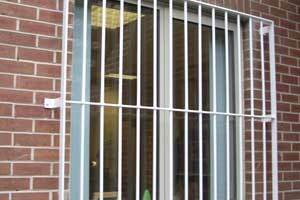 If you’re looking for added safety and security to your home or business, our iron gates in Manchester may just be what you need. 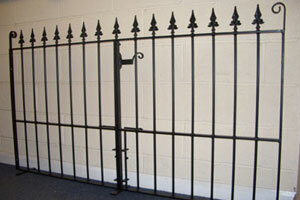 Or, if you’re merely looking to improve the aesthetics of your home, similarly, adding a gate can do the trick. Contact us today to discuss your requirements and please browse our extensive portfolio we have here on our site. I was searching for contemporary style electric gates and the Cheshire Metalcraft website provided all the necessary information I needed, this allowed me to make an informed decision. Nick and the team were quick to respond to my enquiry and provided an efficient, professional service at the right price. I wouldn’t hesitate to use them again. We are really happy with the gates that Cheshire Metalcraft fitted. With their expertise, we were able to have our own design input brought to life. They were all really helpful, polite and courteous when at our house. Many thanks to the guys at Cheshire Metalcraft for building and installing both a drive gate and railings at my property. They provided a first class service on all fronts and at a great price too. 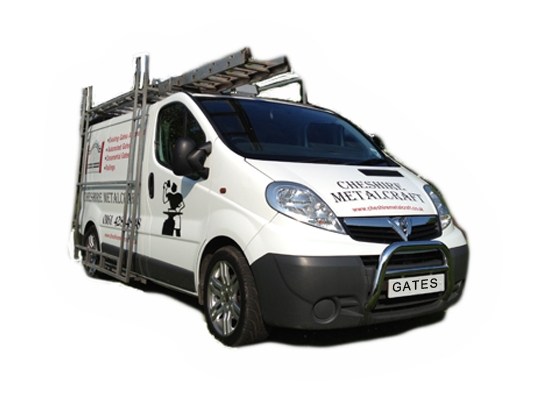 We would highly recommend Cheshire Metalcraft for a professional service from design through to installation of our automated gates. 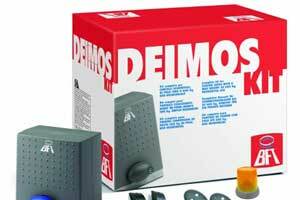 Every care was taken to give us exactly what we required and at a competitive price. 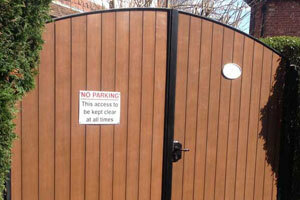 Cheshire Metalcraft recently fitted a set of electric sliding gates at my personal training gym in Bramhall. It was an extremely professional job, they look fantastic & they give us the extra security we were looking for. Highly recommended. Only on return home did I notice the substantial manufacture of my gate. Very pleased & thanks to all. Some months have now passed since we had our new gates installed, but I wanted to let you know that we are very pleased with them. They have been admired by various people,but from our own point of view they make a positive practical and aesthetic difference to the exterior of the house. 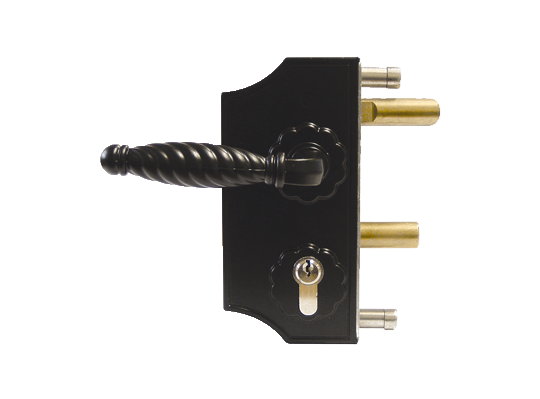 After some deliberation, we have decided to keep to the black painted finish. Thank you for your service. 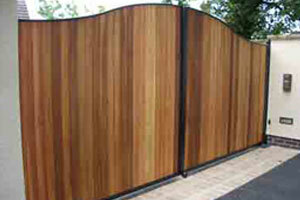 Just had an automated sliding gate fitted and it went well from start to finish, nice change for this day and age. I would highly recommend these guys. 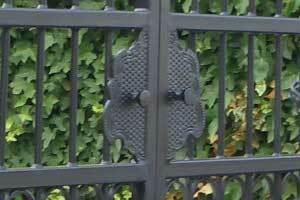 I just wanted to send you a photo of our gate as it looks so good now with all the vegetation growing. We have had so many lovely comments about it and I think it really improves the look of the property at the front. I wasn’t home yesterday when the gates where fitted and got back late last night, but Just wanted to say that the gates look great and we are really pleased with quality of them and the job you have done fitting them. Really pleased with the gates and the guys that have been doing the work have all been great. Big Thank you!! We just wanted to drop you a line to say the gates are absolutely wonderful, just what we wanted - they are beautifully made and so smart. Please thank everyone involved and especially to Scott too for all his hard work - he is a perfectionist and did such an excellent job. 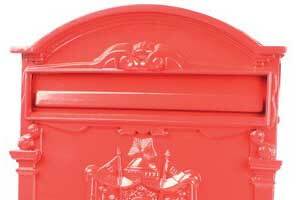 We write to commend the work and product of Cheshire Metalcraft. The whole process from estimate to completion was excellent. 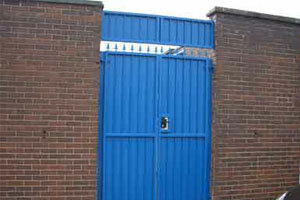 The gates and railings installed are of the highest quality and the installation is efficient and excellent. We are so pleased with the result and would like to thank Graham for his professional, excellent service and meeting our needs within the time frame we had. Thanks to him for a truly magnificent job and we would recommend Cheshire Metalcraft to everyone. Job and product better than five star!! 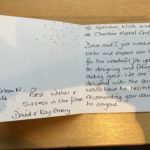 To Graham, Nick and team at Cheshire Metal Craft. 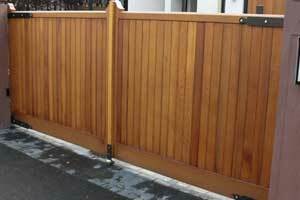 Dave and I just wanted to write and express our thanks for the wonderful job you did on designing and fitting our sliding gate. We are really delighted with the result and would have no hesitation in recommending your company to anyone. A few words of thanks for the superb job you and the team did firstly in interpreting and understanding what gate and railings design we thought we wanted; translating this into a workable design that is aesthetically pleasing as well as supremely functional; and installing everything within the scheduled dates with the minimum disruption to our comings and goings, and despite the poor weather. They look great and are beyond our expectations. I hope you will place this testimonial on the web site with the others! A few words of thanks for the superb job you and the team did firstly in interpreting and understanding what gate and railings design we thought we wanted; translating this into a workable design that is aesthetically pleasing as well as supremely functional; and installing everything within the scheduled dates with the minimum disruption to our comings and goings, and despite the poor weather. They look great and are beyond our expectations. I hope you will place this testimonial on the web site with the others! Thanks again. Adrian & Pauline. We offer free onsite estimates within a 50 miles radius of our workshop in Cheadle, Stockport, Cheshire. 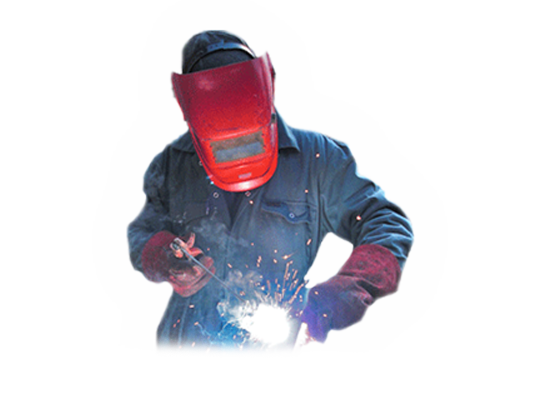 All of our galvanised products are supported with a 10 year guarantee. Terms & Conditions apply.